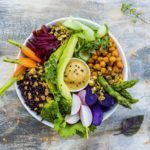 This three-day retreat will focus on cultivating mindful eating practices. We can experience food as pleasure and nourishment while finding our right relationship to amount and quality in each moment. Mindful eating and living can nudge us beyond what we’re craving so that we wake up to why we’re craving it. We can learn to live life with more equanimity and ease, with the skills to make conscious choices. Teachings are appropriate for health care professionals as well as the general public. This workshop is eligible for 12 hours of Continuing Education credits. 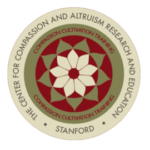 Explore Compassion Cultivation Training (CCT) – A Special Weekend Immersion guided by two senior-level Stanford CCT instructors, Monica Hanson and Robert Cusick. The CCT immersion experience is unique both in its deep focus and the pristine contemplative space in which it is being offered, surrounded by the natural beauty of Vajrapani Institute. CCT was developed by Thupten Jinpa, PhD — English language translator for his Holiness the Dalai Lama for over 30 years — in collaboration with a team of psychologists, scientists and contemplative scholars and practitioners from Stanford University. This workshop is eligible for 12 hours of Continuing Education credits. 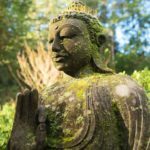 This 9-day retreat will focus on three core elements of practice – shamatha, vipashyana & compassion. Throughout the entire retreat, both the mindfulness & selflessness (ie. shamatha & vipashyana) practices will be supplemented with compassion practice. Initially, this will be introduced through the cultivation of the four immeasurables of loving-kindness, compassion, empathetic joy & equanimity. Then moving onto exchanging self with others & finally the tong-len practice. Join Geshe Gelek as he returns to Vajrapani for this illuminating retreat on Calm-Abiding (shamatha) and Special Insight (vipashyana) infused with the Mahayana approach of engaging in all actions for the benefit of others. He will guide us on how we can use these wise teachings of the Buddha to generate the mind that strives to see the world as it truly is, not as it appears—ultimately a more enlightened way of seeing. 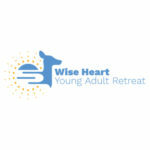 Wise Heart Young Adult Retreat is a contemplative and playful retreat based in Buddhism for people ages 18-30+. This engaging program combines the elements of a formal retreat — meditation, contemplation, Buddhist teachings — with the fun of art, games, nature, body movement and engaging discussions with peers. Join us in exploring how mindfulness can help us create an inner sense of calm and develop loving-kindness towards ourselves and others. Together we will learn experientially how the cultivation of authenticity, kindness and wisdom can lead to deep happiness. Everyone wants happiness. Unfortunately, the faulty assumptions by which we live our lives do not afford us the pleasure of abiding in a state of perpetual happiness, peace, and contentment. Buddhism promises such a state. When successfully training our minds through various meditation techniques, happiness follows. This retreat can be combined with the Deepening Your Practice retreat that follows immediately after on August 18th. We encourage you to come for both and make it an immersive ten-day experience. Join us in taking an expedition into our minds through the power of teachings, meditations, discussions, and silence. As a result of meditation training, we develop an open-hearted awareness of whatever is arising in the present moment. Our mind gives up its wandering and is quite happy to be alert, open, attentive and accepting of the present. Learning to be gentle with ourselves, using the loving attention of meditation, relaxed and effortless, we deepen our practice. 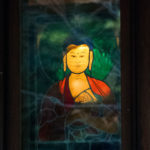 This retreat can be combined with the Introduction to Meditation retreat that precedes it. Make it an immersive ten-day experience! We all suffer emotional and psychological wounding to some degree. During this retreat, we will begin to explore the nature of psychological healing. Rob will draw on years of experience both as a teacher and psychotherapist to look at how we can begin to shape our Buddhist practice to more directly affect the healing process. In this retreat, Rob will bring together the practices of Mahamudra, Vajrasattva and KumNye in a fresh and creative way to explore the healing process, recognizing that we all have within our nature the Source of our innate health. No tantric empowerments are required to participate, although it will be ideal if one has studied this topic previously. 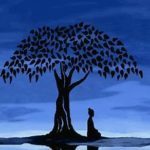 In this group meditation retreat, we will focus on the various techniques for contemplating the wisdom of emptiness, utilizing teachings from a number of these great Madhyamika masters of the past as well as accomplished contemporary practitioners. In conjunction with guided meditations on emptiness, we will use the practices of Lama Tsongkhapa Guru Yoga and A Meditation Upon Orange Manjushri to structure our meditation sessions. In addition to guided meditation sessions, the retreat will also include teachings on emptiness and concentration, as well as brief commentary on the practices being used. 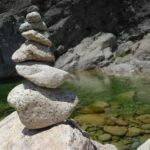 The Cultivating Emotional Balance training was sparked during a meeting between behavioral scientists, a neuroscientist, a monk, a philosopher, and the Dalai Lama in 2000, as a new approach to understanding our emotional lives. 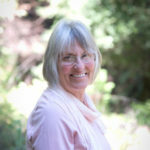 Combining contemporary scientific research with contemplative practices drawn from Buddhism, the Cultivating Emotional Balance training gives participants new tools for working with emotion. CE credits for psychologists are provided by the Spiritual Competency Resource Center (SCRC) which is co-sponsoring this program. 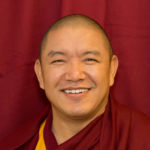 We are so fortunate that our kind and compassionate guru, Gyumed Khensur Rinpoche Lobsang Jampa, is returning to Vajrapani Institute to lead another retreat on Tantra in 2019. 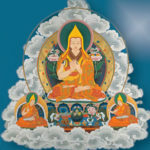 He will start on a multi-year commentary on Lama Tsongkhapa's great treatise on the stages of tantra, the Ngakrim Chenmo. It's rare to get an introduction to Tantra in a step-wise fashion from the lower classes of Tantra all the way to Highest Yoga Tantra. 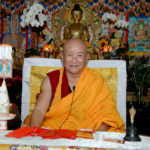 Rinpoche will give the Four-Armed Avalokitesvara Initiation and then give commentary on Action Tantra using a sadhana of Avalokitesvara in combination with the Action Tantra section of the Ngakrim Chenmo. This will be a weekend intensive training on cultivating mindfulness and compassion based approaches into our lives. This is a hands-on “learning from the inside” experience. 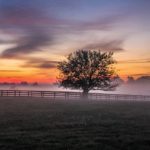 As we grow and develop as human beings, we may recognize the importance of relinquishing opinions, grudges, judgments, and resentments through honest mindful reconciliation. This is the path of the heart that leads to deeper wisdom, compassion, and peace. This workshop is eligible for 12 hours of Continuing Education credits. Have you been curious about Buddhist practice, but don't know where to begin? Have you attended Buddhist teachings, but don’t know how to meditate on the subjects you’ve studied? 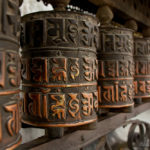 This class will be based on the “Stages of the Path” (lamrim) tradition of Tibetan Buddhism and will include lectures, guided meditations, discussion periods, and experiential homework assignments. This class will also teach you the fundamentals of Buddhist meditation, and give you the tools you need both to begin a daily meditation practice and to deal with problems and difficulties once you have started to meditate. Most of us operate from profound ignorance, a solid mis-knowing. This ignorance – that happiness and unhappiness come from somewhere “out there” – blocks us from seeing our clear light mind. The Vajrasattva practice purifies our mind from grasping so strongly onto the mistaken view. Utilizing time-tested visualization and meditation, deluded states – pain, sorrow, hatred, pride, jealousy, doubt – lose their power. Our mind is purified. 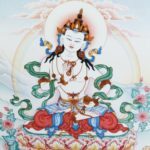 We’ll explore why this powerful Vajrasattva practice actually works, and how we can use it in our daily life to grow our happiness.